Get the most of your SAP system. SAP Fiori. Companies running SAP can now deploy SAP Fiori apps that provide great user experience to support business tasks on many devices. Using best practices, service providers install the infrastructure. Quickly and predictably, companies can boost employee productivity and reduce total cost of ownership. Web Element provides powerful web application services that add to your credibility, increases your business margins, and helps you connect better with your customers. Be it a startup with basic web app development requirement or a conglomerate with complex web application needs, we are trusted partners for all scales of businesses, for areas such as inventory, sales, invoicing or any part of your business process, which needs to be centrally managed. We have the widest array of industries served for development and release of web applications across multiple platforms, which speaks volumes of our track record. Corporate portals – We build custom intranet portal for company-wide channel of collaboration, interaction and internal communication. E-commerce sites – Total e-commerce portal solution is a highlight of Web Element. We also offer complete integration with third party components such as shipping, payment gateways, and customer management. Tailor made web applications – We offer custom web application development that allows your business to stay versatile in your offerings to your customers. 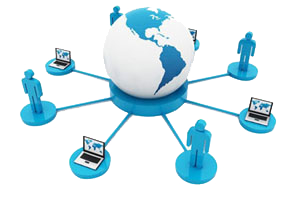 Fully functional web applications – Our web application solutions fit like hand in glove with your business requirement. Be it a comprehensive shopping portal with third party integration, social media community, corporate portal, or enterprise websites, Web Element has proven experience in these types of application development services. Thorough testing – Testing is a critical step in the development process and we make sure to do an all-round testing that scrutinizes security, application performance, UI and UX, cross browser compatibility, and user accessibility. Smart development – Our web application solutions are not only meant or the present but are also ready for the future. They exhibit scalability and growth driven architecture to incorporate future expansion plans of the client companies.